Josefin's mother become very ill and suddenly life becomes so much harder. Neither Josefin nor her family knows how to cope with their new situation. The family belongs to a sanctuary at their local church: the radio studio. That's her safe refuge when everything is about to burst. There is also Marcus. He becomes her lifeline, a person who actually understands what she is going through, and whom she dares to open up for. She tells him about her mother, her religious troubles, about the guilt she is carrying because of her mothers illness, about her will to be perfect. A new girl enters the class, Veronika. A girl who is the exact opposite of Josefin, who dares to challenge her. What are you doing here? Marcus said angrily. Hiding, Josefin said before she had time to think. She shrugged for what should she say? Life. Everything that hurt so damn bad. How about you? When life and safety dissapears in chaos Josefin tries to regain control through starvation, extreme training and self - punishment. On the same time her life power enlightens the darkness - it lights up the "Josefin-galaxy". 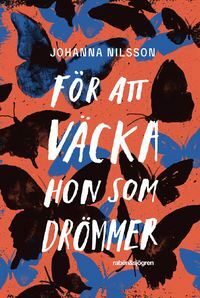 Johanna Nilsson's shimmering and condensed prose in To Awaken the Dreamer takes place in the 1980's Swedish outskirts with references to both AIDS and the religious group "Livets ord" (The Word of Life) , and gives a total feeling of reading about here and now. "I would really like it for 'To Awaken The Dreamer' to win this years August prize. The novel is rich with perspectives without getting messy. It depicts a will for self-injury, depression, fear of death, cancer and aids. It also includes friendship, the first love, church camp, girl rooms and school. It's difficult to treat so many subject within the frames of one single book.